Interaction with hiring industries has revealed that skilled professional with higher education and practival knowledge are still in short supply in spite of many pharmacy colleges and institutes running M.Pharma courses. Most important single reason for this has been cited as poor quality of the passed out students. We are uniquely positioned and determined to provide the quality education in M.Pharma. which can enable our students to excel in the area of their choosing. Acclaimed faculty with International experience. Emphasis on the development of research and practical skills in friendly and relaxed environment. Special emphasis on presentation skills and access to internet based resources for research and education. Practical training about designing research projects, papers and presentation in friendly and relaxed environment. Special attention to students not proficient in English. Familiarization with the most advanced concepts. Regular visits, advice and guidance by International researchers. Inteaction with International and National level researchers by video conferencing as per the needs of the students. Passport procurement and Guidance in visiting abroad. 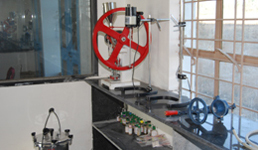 Well equipped laboratories and animal house. Assistance and guidance for students aiming to go abroad for Ph.D. and postdoctoral fellowships. Assistance and guidance for students for aiming for Ph.D. in Indian University by preparing them for different fellowshops available for Ph. D.
Assistance and guidance for students planning carriers in Industry, by imparting hands-on practical and Indusrial need based projects. Emphasis on research papers, patents and marketable technologies according to the need of the students. Emphasis on attending conferences and seminars, posters and paper presentations at IPC and other forums.